Our team consists of firearm enthusiasts, gun safety educators and others committed to providing unparalleled Illinois concealed carry classes & certification. 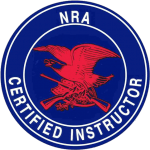 Through a unique combination of leading-edge firearm safety training curriculum, highly-respected instructors, and support that’s unmatched in our field, Concealed Carry of Illinois is proud to provide one of the most comprehensive and accommodating ways to obtain your IL concealed carry permit certification. Concealed carry in Illinois, after decades of steadfast efforts made by countless individuals and groups, is now a reality. For the first time in the state of Illinois’ history, individuals will be able to obtain IL concealed carry permits, after successfully passing state’s firearm safety exam. If you’re like other local firearm owners, you’re probably anxious to register for the IL concealed carry course as soon as possible. At Concealed Carry of Illinois LLC, we make it easy and affordable to attend IL concealed-carry classes in Chicago, from distinguished, highly-qualified local firearm safety instructors. At Concealed Carry of Illinois LLC, our we offer highly-informative gun safety classes, while making the process of getting your certification fun, easy and affordable. For firearm owners in the Chicago area, we make it easy to get certified for IL concealed carry permits. 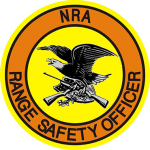 In addition to providing a relaxed, comfortable learning environment, our classes are taught by some of the most respected firearm safety instructors in the state of Illinois. Get Certified for Illinois Concealed Carry The process of getting your IL concealed carry permit, begins with a call to Concealed Carry of Illinois. As an organization dedicated to providing Illinois State-approved firearm safety and concealed-carry certification classes, we’re proud to be a Chicago leader in firearm education. For additional information on IL Concealed Carry certification, please Contact Us.